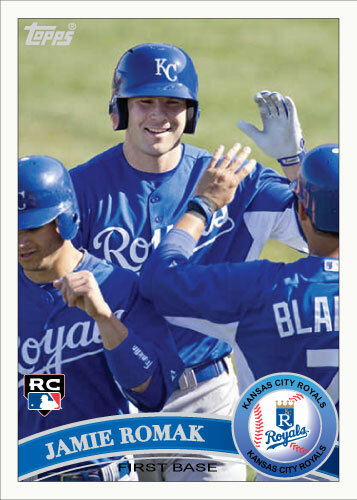 Jamie Romak can hit. He is a typical first baseman. He’s got pop and isn’t a great defender. I saw him take one out of the park in the futures game on April 2nd at Kauffman Stadium. Romak is in an unfortunate position however. He appears to have four high quality players/prospects ahead of him in the same organization. The Royals have Billy Butler and Kila Ka’aihue and the Omaha Storm Chasers at AAA have Eric Hosmer and Clint Robinson who are both great hitting prospects. Romak is at AA Northwest Arkansas Naturals and looks to be fifth in line to play first base in the near future in Kansas City. Who knows what could happen, injuries, trades, players moving positions but there appears to be a ton of road blocks in front of Jamie Romak.